Fashionable and comfortable indoor jacket from KAFFE in velvet quality! 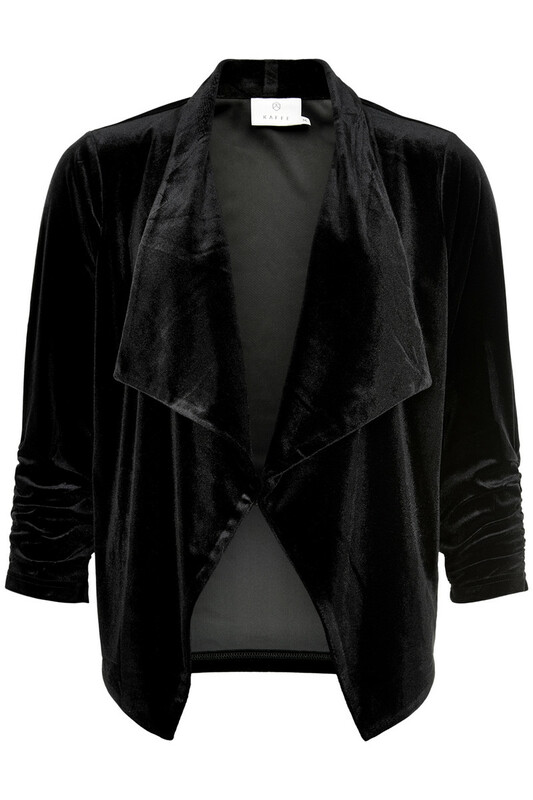 The velvet jacket has a really cool expression with its beautiful waterfall on the front! The nice blazer jacket also has a really good stretchy quality and fine 3/4 sleeves with wrinkle effect. It is a perfect trendy blazer that can be used for both parties and everyday use.